It is our goal at Saint Patrick Catholic School that no child be denied the opportunity to attend because his or her family feels they can’t afford it. While our resources don’t permit us to provide tuition assistance to every family, we are committed to doing all we can to meet the needs of our families by providing what we believe to be fair and substantial tuition assistance packages. We are willing to meet with any family seeking a way for their children to attend Saint Patrick Catholic School. Applications for the 2019 – 2020 school year are accepted from October 1, 2018 to January 4, 2019. 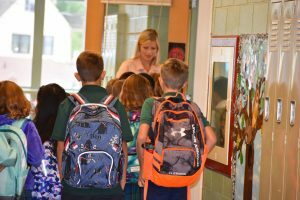 The Fulcrum Tuition Assistance Grant program is designed for families and students currently enrolled or applying for the next school year in any Catholic school in the Archdiocese of Seattle. A family must apply each year through FACTS Grant and Aid Assessment to qualify for a grant—all awards are made based on financial need. Click here for more information. StPTAP applications are available on October 1, 2018, and are due by January 31, 2019. After that date we will continue to accept applications until funds are no longer available. Fulcrum and St. Patrick Tuition Assistance Program are using a common application called FACTS. Complete the form once to be considered for both the FFG and the StPTAP. Use the link below to apply for tuition assistance for Saint Patrick Catholic School only. If you are applying for tuition assistance for another school, use their specific link. Follow all of the application directions and include all of the requested tax forms. For more information about how to prepare to apply, click here. Incomplete or late applications will adversely impact any tuition assistance award you might receive. All requests must be completed online through the FACTS Grant & Aid Application. See Tuition Assistance Frequently Asked Questions or contact Bonnie Viafore at 253-272-2297, ext. 4132, or via email at bviafore@saintpats.org.